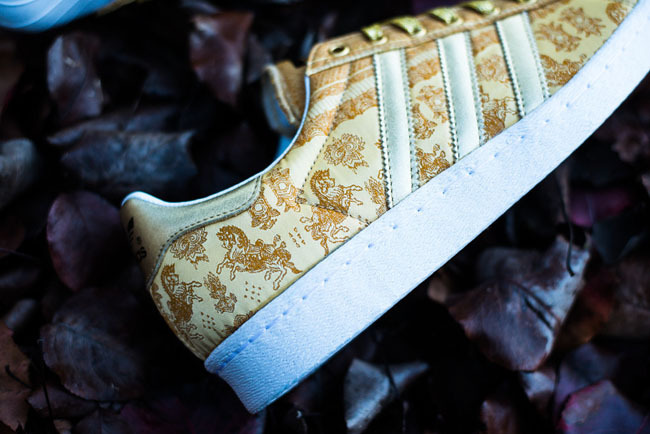 We've already seen Year of the Horse sneakers from Nike Sportswear, PUMA, and even a Kobe 8 edition. 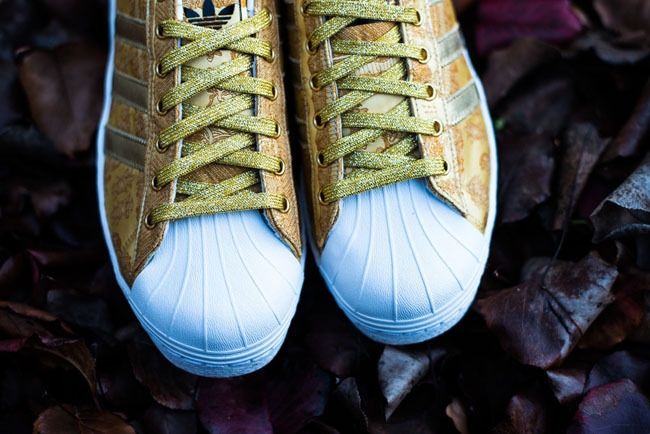 Now it's time for a look at the first YOH sneaker of the year from adidas. 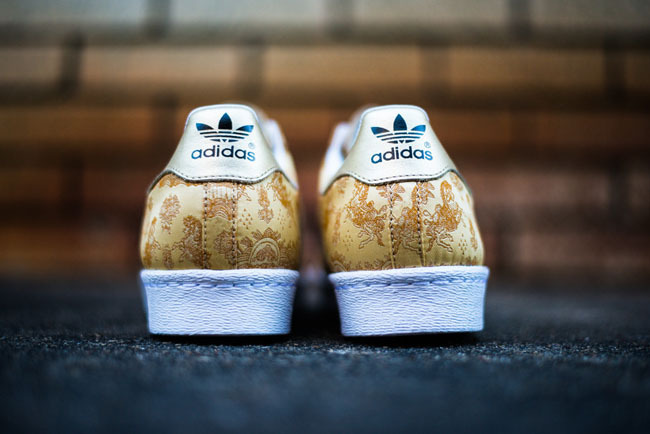 The shoe's defining feature is its all-over horse-print upper, which is much more subtle than it might sound. 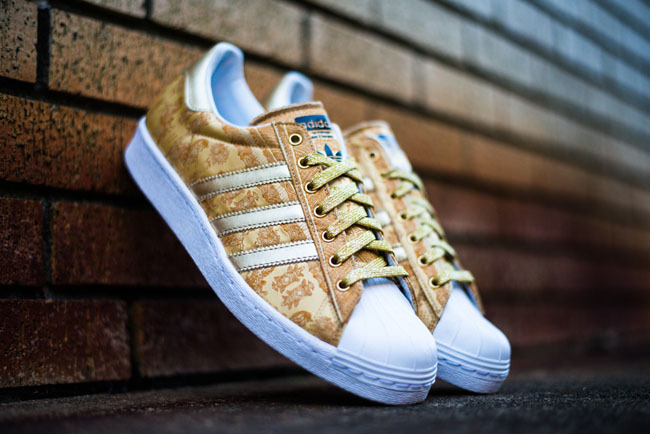 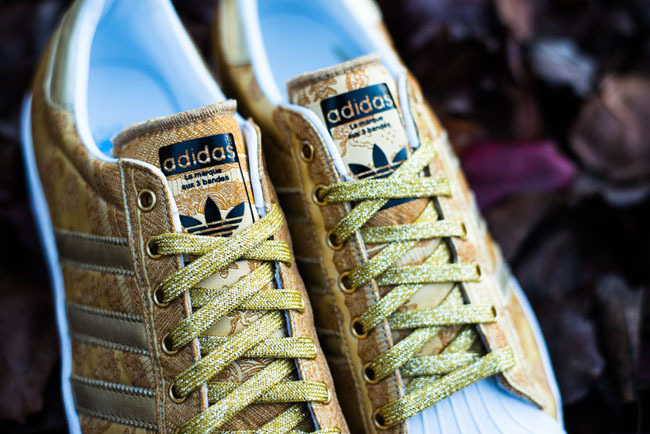 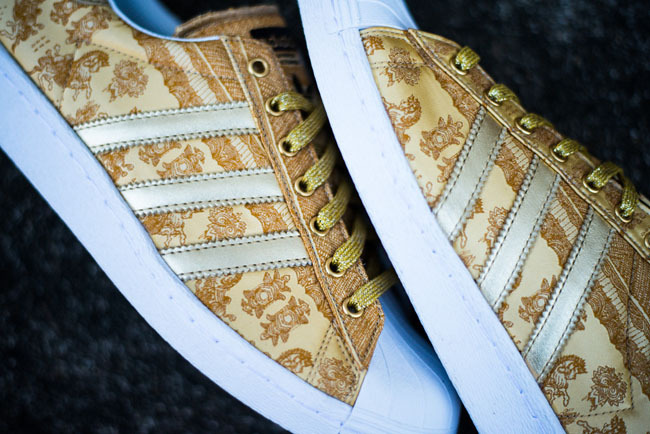 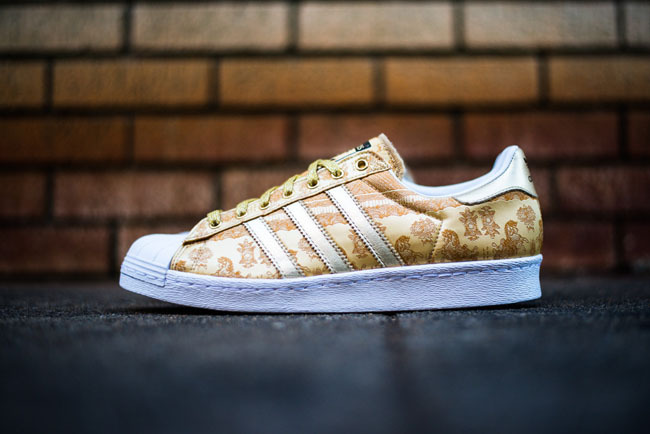 Gold Stripes and laces finish of the details. 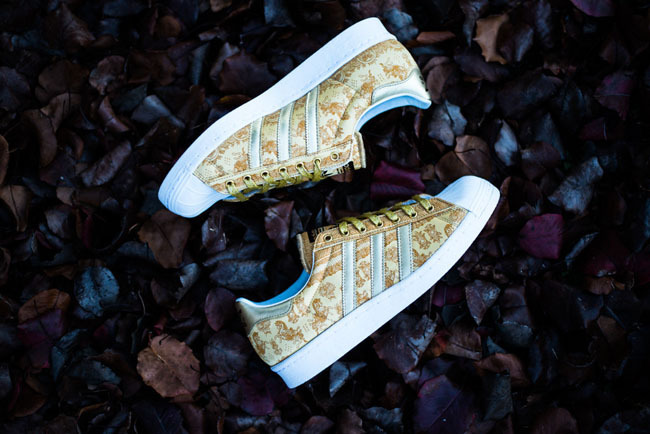 This sneaker is available now at Sneaker Politics, and retails for $100.